Based on a real FRILL NECK lizard both in looks and action the FRILLSEEKER is as real as it gets. The vibrating frill will flare on the stall, while the snaking tail and extremely life like body roll will fool any fish into believing there is a lizard on the surface. The extremely durable hardbody of the FRILLSEEKER is more than capable to handle the biggest of fights, the tail is made from ultra-durable and strong 10X material for strength and action. 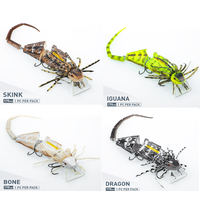 Fitted with ultra sharp, strong and durable hooks every possible chance is given to the fisherman to maximise there strike rate. Work it slow on the surface, twitch it or add some pace to dive sub surface and get closer to the fish or tempt those more timid fish. 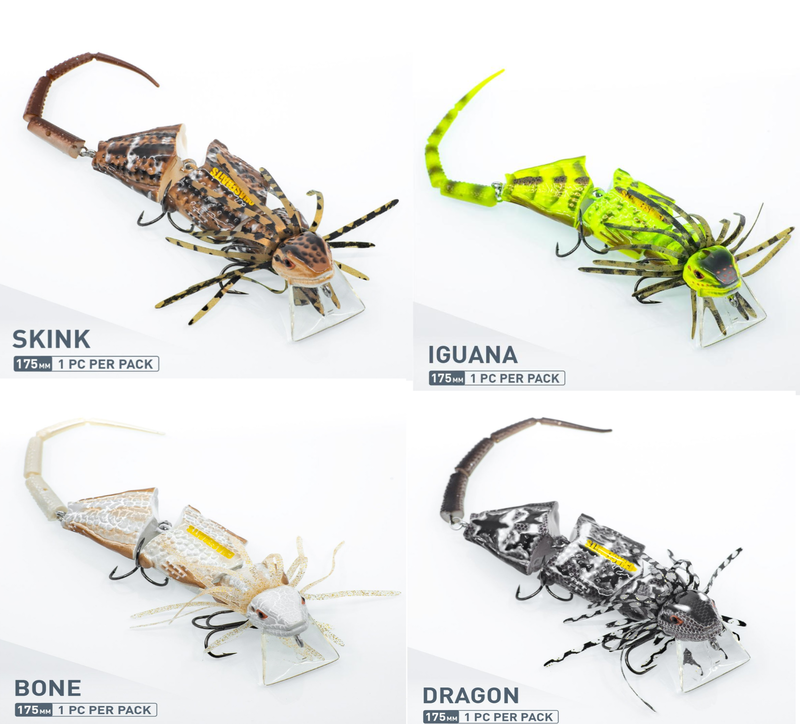 The FRILLSEEKER is unique, ultra-life like, durable and a great addition to any fisherman’s tackle box chasing fish that would love to feed on small lizards. Get ready for the Frill of your life.